Cute packaging-spice jars that can be found a discount stores. I don’t know about you, but I think it can be fun to make gifts. When I found a recipe for an easy DIY lip scrub, I thought I’d share–wouldn’t it be a great stocking stuffer? 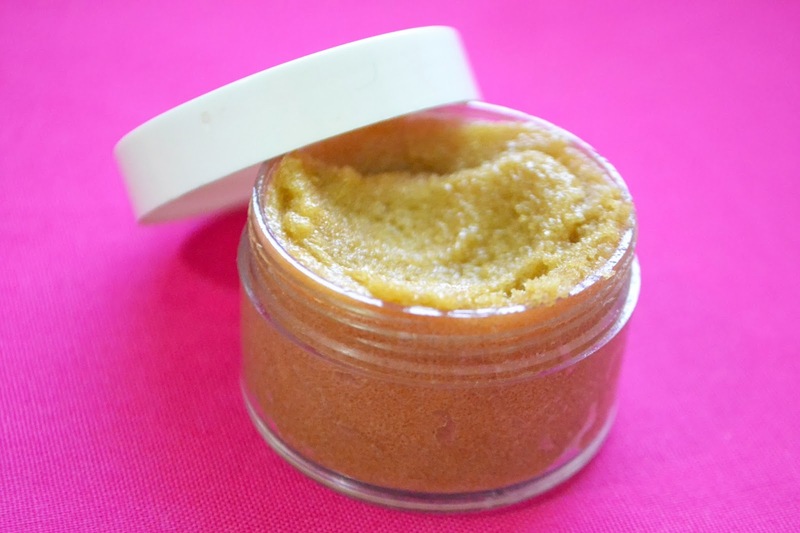 Oh, you want to know about lip scrubs –also called polishes? They’re exfoliators that help keep your lips in tip-top shape and in winter, that’s a necessity, especially if you wear lipstick. 1 drop or more of flavored extracts if you like (peppermint, almond, vanilla, lemon–just about any extract will do) Peppermint oil works and so does crushed mint. You can use just honey and sugar, but the shea butter makes it more emollient and moisturizing. The the flavors are just plain fun. I start with the sugar and honey in small amounts and then add the shea butter, being careful not to make too rough a consistency. I add tiny bits of flavor until it tastes just right. Not too strong. And then I find a cute little tin or jar to fill and label. And that’s it. Easy-peasy. And no, it’s not too early to start thinking about holiday gifts. I’m on the Paleo diet. I’d be terrified I’d eat it before it got in the jars. I saw this first thing this morning and it made me laugh so hard! I adore lip scrubs and can’t wait to try this one. I used to buy them and pay a lot for them, but now I think I will just make them. This one look yummy! I love DIY projects and giving homemade gifts and living in dry and cold Colorado, this will make a great gift for many of my friends! Thanks. The honey. Perfect for Colorado ingredient. I think the packaging and flavor make it special. This looks great, and I will definitely try to make it if it will give me lips like those. You crack me up. Yeah, me, too! I’m looking forward to having them at the end of winter! I really need to make this today. My lips are a dry, cracked mess thanks to our Philly weather 70 degrees to 20degrees and then back to 70. Thank you! Be gentle with the scrub if they are cracked…start with moisturizing . My lips are so dry….I am always piling on the balm. I shall try this! Thank you for the “sweet” tip- I mean lips. Pam@over50feeling40 recently posted…You Will Not Want to Miss This Giveaway! This is great to know because my lips get so dry during this cold season! I LOVE THIS! I have several family members who would use this! I’ll be the amazing gifter this year! Yay! Ummm . . . thank you . . . I always think I will make homemade presents but never get around to it. I actually have everything I need to make this so I have no excuses! Might just keep some for myself too…. Carol, this is a great idea. I have a friend who always makes something for me. Maybe this year I can return the DIY sentiment. Clever idea and perfect timing since we are in the season of chapped lips! I’m probably too lazy to make this. So it’ll be Vaseline for me again this winter. But it looks adorable. Love this and I bet it smells amazing! Oh I love this. 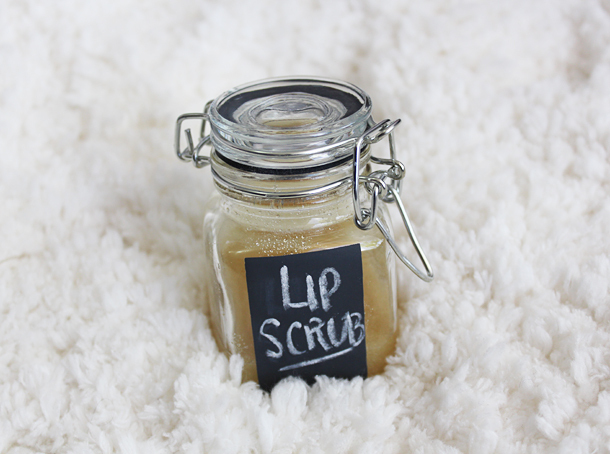 I shared a lip scrub recipe recently too because they are that good and simple to make. this is a great recipe and would make a wonderful gift. Thanks for the info. Thanks so much for sharing this. I’ve wanted to try a lip scrub, but well reviewed ones are so expensive. I will definitely give this a try!